the day to commemorate crucifixion of Jesus Christ and the day when he died in Calvary. This is the day of a Holy moment of Christian religion and celebrated during the Holy time period by the Christians. Most of the people from Christian religion understand that probably Jesus Christ crucifix as on a day of Friday in the year of 33 AD. Christians celebrates Good Friday in memory of Jesus Christ as the death of him on that day. 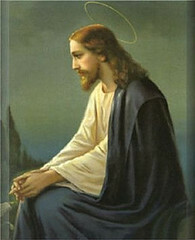 Jesus Christ was the great human being of Christian religion. He died for religious concepts. And he spent his whole life for the religion. In all over the world people celebrate this day as a Good Day. Good Friday started with the second day of Paschal Triduum. People worshiped Jesus Christ and performed various customs and tradition during the celebration of Good Friday. They singing and dancing in memory of Jesus. They prepare delicious foods and engage with joyous party on that occasion.